When it comes to cats, grooming, bathing, and nail trimming can prove to be a difficult task. The good news is, you don’t have to groom your cats yourself. The master cat groomers at Cat’s Inn Grooming & Boarding in Cleveland, OH will treat your cats like they’re part of our family. 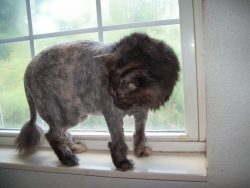 We have years of experience making even the most sensitive cats feel comfortable and secure when they need grooming. We’re members of the Professional Cat Groomers Association of America and Certified Master Cat Groomers. No matter what level of grooming your cat needs, whether we travel to your home or you choose to bring your kittie to our facility, our proven, safe methods will leave your cat looking and feeling their best. Cats aren’t like dogs. We understand cats and only provide grooming services specialized to the unique needs of cats. We know many cats aren’t fond of traveling so we can come to you for your grooming needs. We’ve been grooming cats like yours since 1997 and cats are our passion! We welcome all cats who need grooming, and have training in grooming and caring for all breeds and hair types. We treat your cats like they’re our own. 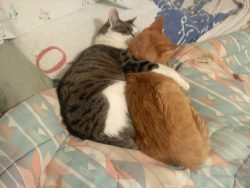 When you want loving treatment for your friend, contact the pet professionals at Cats’ Inn Grooming & Boarding. Contact us today to schedule your cat’s next grooming appointment. For loving, expert care, contact Cats’ Inn Grooming & Boarding for your cat’s next grooming appointment or for a safe and secure kitty-vacation while you’re away.